Patriotism and love are one of the most pious, soul-stirring and vehement emotions known to mankind. Combining these in a story is a recipe for a book brimming with thrill and passion. 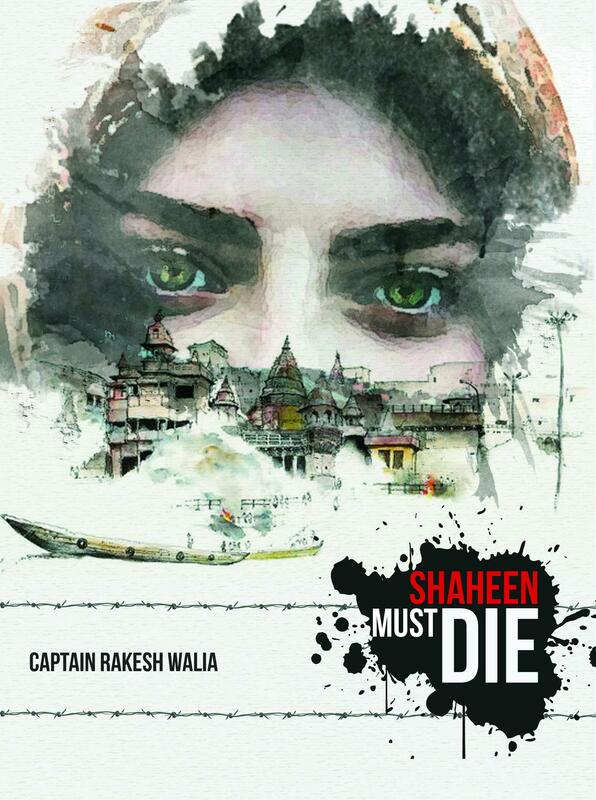 The author RakeshWalia comes up with such a book “Shaheen must die” which is a romantic patriotic thriller. The book cover is captivating, and showsShaheen with her honey-coloured eyes, draped in a scarf. It also shows dashesand flurry of myriad colours, portraying the skyline of Kashmir with its quaint buildingsand the genteel Jhelum River serenading below with the grooving shikaras, which are so quintessential of exotic Kashmir. Splotches of blood with barbed wires also find a place, revealing Kashmir’s current political situation. The front cover is the best thing that I liked about the book. The storyline follows Mohit, a hard-working and sensitive boy, who regularly goes to meet his father Captain RakeshWalia, an army officer who is in prison. The narrative then reveals that heis in prison as he has killed his wife. The plot then goes on to answer the why question, telling the circumstances in which it happened, with Captain Walia recounting his days of hardships, struggles, friendship, love and betrayal. The narrative is well-written and an easy read; and with all its incorporated emotional upheavals and plot twists, is riveting and engrossing in equal measure. However, there are minor editing errors which deter the reading flow slightly. The language uses embellished words, with ample peppering of clichéd and canny phrases. The characterisation is good, with the characters of Mohit and Captain Rakesh developed well and explored in depth; and portrayals amalgamating superficial emotional nuances with deep sentimental exploration.The climax however is quite predictable and doesn’t justify the thrilling build-up. Patriotism is the major theme in this book, with the central message being of the nation being paramount- of the nation and country coming before love, relationships and everything else.